Proxy advisory firm Stakeholders Empowerment Services (SES) has recommended that shareholders vote against Prabhat Dairy’s resolutions related to the sale of the dairy business. The extraordinary general meeting (EGM) to vote on the resolution to sell Sunfresh Agro Industries (Prabhat’s subsidiary that runs the milk processing business) to Tirumala Milk Products (fully owned by France’s Groupe Lactalis) will be held on March 26. SES has raised governance concerns over the transaction citing that Prabhat has not disclosed the valuation report and has not provided clarity on its future plans. The proxy advisory firm has highlighted that Sunfresh Agro and dairy business of Prabhat collectively account for 98.4 per cent of its consolidated revenues. “The company has not disclosed any future plans that how the company will proceed with remaining 2 per cent business,” SES said in a note. “How the company will survive/grow when almost nothing remains in the company,” the note adds. 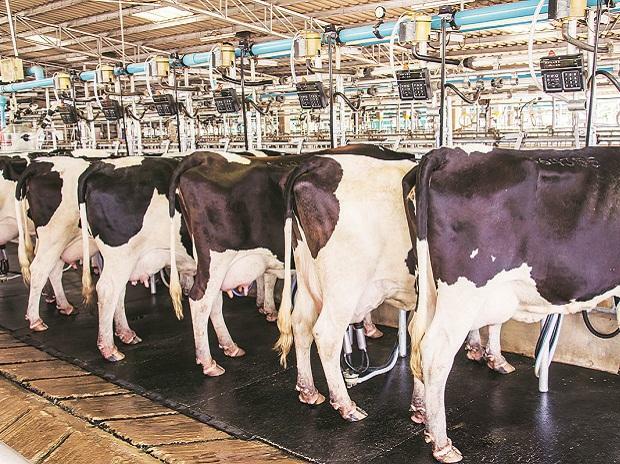 In January, Prabhat Dairy had said it was selling the milk production business for Rs 1,700 crore to the French firm. “In such case the only tool available to shareholders to evaluate a resolution of this nature is to know, what will be the final situation of assets and liabilities. And after paying off liabilities what is net cash/ assets available,” the note says. The SES has also asked shareholders to vote against the second resolution on a scheme of amalgamation and arrangement of Cheese Land Agro (India) (Transferor company) with Prabhat Dairy (Transferee company). “No concern identified regarding the proposed resolution if viewed independent of resolution 1 there is no concern. However, as this resolution follows from first resolution business restructuring and cannot be taken independently hence there is a concern on this,” SES said. Shares of Prabhat Dairy closed at Rs 80 on Friday. Shares of the company are down nearly 14 per cent after announcing the sale of milk processing business. According to December quarter’s shareholding data, promoters of Prabhat Dairy held 50.1 per cent stake in the company, the remaining 49.9 per cent is with the public.